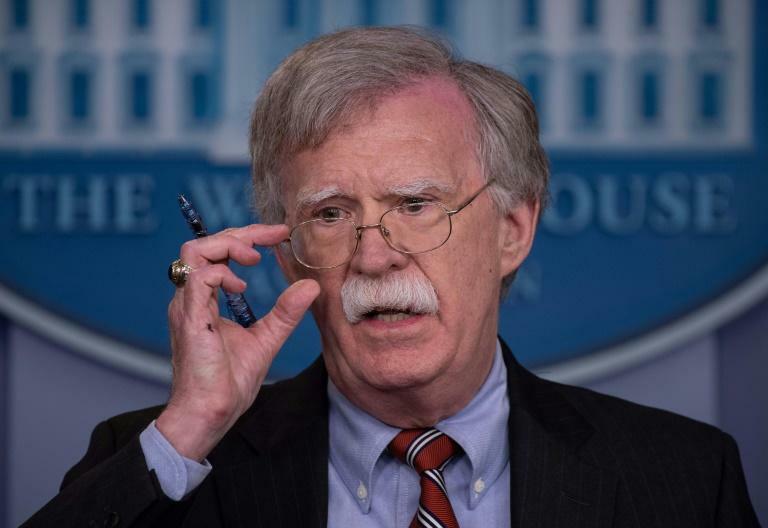 US National Security Advisor John Bolton on Sunday singled out China, North Korea and Iran as countries who could possibly meddle in American elections -- as President Donald Trump railed about a probe into Russian interference in 2016. Trump himself pointed the finger of blame on Saturday, tweeting: "All of the fools that are so focused on looking only at Russia should start also looking in another direction, China." "I can say definitively that it's a sufficient national security concern about Chinese meddling, Iranian meddling and North Korean meddling that we're taking steps to try and prevent it," Bolton told ABC News. "So all four of those countries, really." "I'm telling you (that) looking at the 2018 election, those are the four countries that we're most concerned about," he told the network's "This Week" news program. Trump has intensified his attacks on special counsel Robert Mueller's investigation into Russian interference in the 2016 presidential election, and whether his campaign team colluded with Moscow to sway the contest in the Republican's favor. On Sunday, the president called the probe "McCarthyism at its WORST!"